Members Only A/V throws loud electro parties and they want you to come. Don’t let the name fool you. The electro-loving DJ collective known as Members Only AV is a lot more inclusive than its moniker suggests. Judging by the performance schedule of its principal members—DJs Graham Cody, Louis Kha and Mikul Wing, a.k.a. Midnight Conspiracy—it’s clear that clubgoers of every stripe are invited to the party. During a single three-night stretch last month, the trio bounced from Level to Angels & Kings to Spy Bar to Vision (pulling double duty one of those nights). Of course, it doesn’t hurt that electro’s popularity has seen a significant spike in the past 12 months. Some of pop’s biggest acts have been clamoring for grinding bass and four-on-the-floor treatments from producers like Steve Aoki and Crookers. Locally, the craze has sparked demand from the hipster haunts of Wicker Park to the ultra clubs of River North. With Members Only’s own contribution to the craze, Delorean Nites, launching at Lincoln Hall Saturday 6, we sat down with Kha and Wing to ask where they hope to take the electro scene. We found that, while they appreciate electro’s recent trendiness, they’re working hard to maintain its underground authenticity. 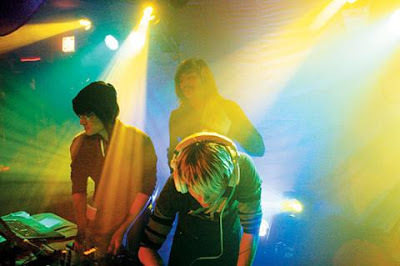 Lining up less mainstream indie-electro acts such as New York duo Designer Drugs, which headlines the party’s debut, and Atlanta’s Le Castle Vania, Members Only “hope that, by having an awesome party, it won’t matter how big the name of [the guest] artist is,” Kha says. “People will just know we’re bringing in someone good.” The Members Only plan of attack is to educate its fans on cutting-edge artists in a proper venue while maintaining its loft-party roots. 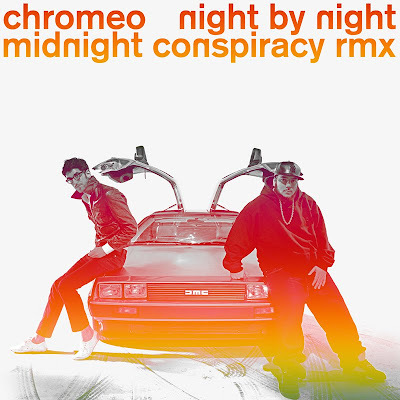 They've also just put the finishing touches on a new mix which includes their Chromeo mix as well as upcoming remix work from the boys and a cross section of some of their favorite current stunners.